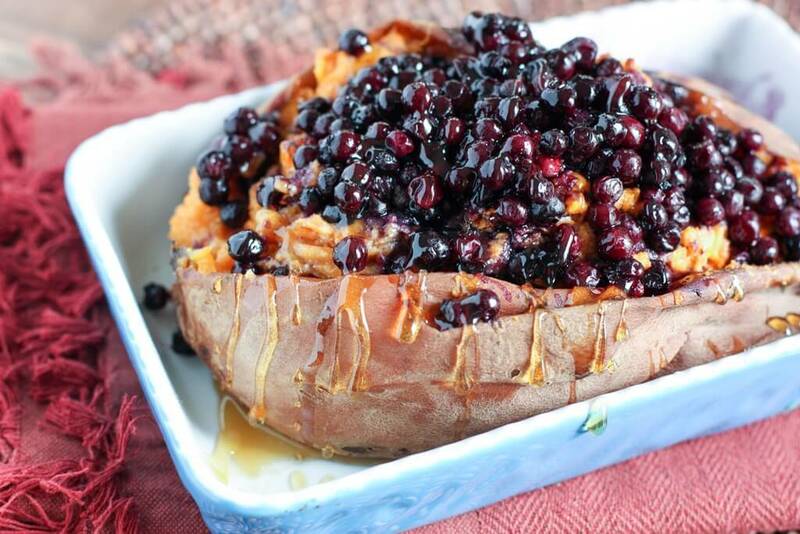 In addition to its great flavor, this twice-baked sweet potato smothered with warm Wild Blueberries is also loaded with nutrients. 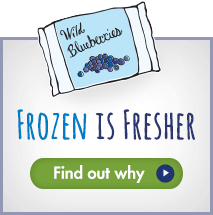 Because Wild Blueberries live and thrive in the harshest of climates, they are forced to produce high levels of antioxidants. 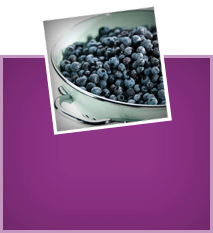 This gives them a potent blueberry taste and nutrition edge that regular blueberries just can’t match. 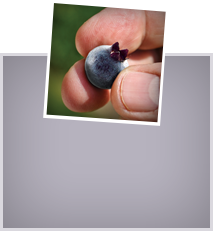 And let’s not forget the delicious vehicle for our Wild Blueberry consumption, the sweet potato! Loaded with beta carotene, vitamin C, and fiber, this duo is a match made in nutrition heaven. Preheat oven to 375 degrees. Poke holes in baked potato and wrap in aluminum foil. Bake 45-60 minutes, depending on the size of the potato. You will know it’s done if a knife slides easily into the center of the potato. Once cooled, carefully slice open top of potato and scoop out flesh into a small bowl. Place potato shell onto small baking dish or cookie sheet. To the potato flesh, add ricotta cheese, spices, maple syrup and mix until well combined. Taste and adjust spices as necessary. Carefully spoon mixture back into potato shell and reheat in oven until warmed through, about 10 minutes, depending on how long you cooled potato. While sweet potato is reheating, toast pecans in dry sauté pan until fragrant. Set aside. Heat Wild Blueberries in small sauce pan until warmed through. 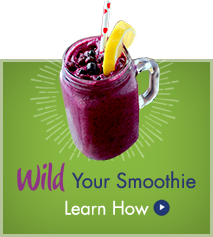 Serve sweet potato topped with Wild Blueberries, sprinkle with pecans, and drizzle maple syrup, if desired.